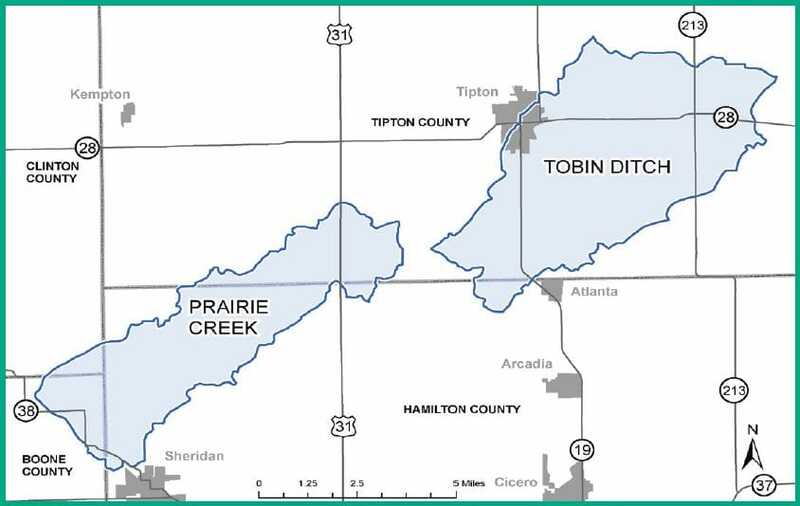 NRCS along with its partners have a program available for certain areas of our county to help protect the natural resources of the Mississippi River Basin. These practices may be something that you as a producer have considered, but did not want to try unless there was some assistance available to offset costs to time, equipment, knowledge and manpower. This may be a good time to try one of the practices listed below. Curious about how these work? Feel free to give us a call to explore your options. Signup for these programs are being accepted now through January 20th, 2017. If you are interested funding is available through this special assistance program. This program is only for individuals that fall within Prairie Creek or Tobin Ditch areas. If you want to know if you are within this area and qualify for this program, please give our office a call. The core practices that are covered with funding out of this program are in bold the supporting practices are in Plain text. You must sign up for a core practice in order to get assistance for a supporting practice. Practices that avoid nutrient runoff: Access Control, Conservation Cover, Conservation Crop Rotation, Cover Crop, Nutrient Management, Prescribed Grazing, Tree/Shrub Establishment, Animal Mortality Facility, Animal Trails and Walkways, Composting Facility, Fence, Forage Harvest Management, Heavy Use Area Protection, Herbaceous Weed Control, Integrated Pest Management, Livestock Pipeline, Pond, Roof Runoff Structure, Stream Crossing, Waste Facility Closure, Waste Separation Facility, Waste Storage Facility, Water Well, and Watering Facility. Practices that control nutrient runoff: Contour Farming, Critical Area Planting, Drainage Water Management, Forage and Biomass Planting, Grassed Waterway, Residue & Tillage Management (No-Till), Restoration & Management of Rare and Declining Habitats, Strip Cropping, Terrace, Upland Wildlife Habitat Management, Diversion, Field Border, Grade Stabilization Structure, Lined Waterway or Outlet, Mulching, Open Channel, Pumping Plant, Residue and Tillage Management (Reduced Till), Structure for Water Control, Subsurface Drain, and Underground Outlet. Practices that trap nutrient runoff: Constructed Wetlands, Contour Buffer Strips, Denitrifying Bioreactors, Filter Strips, Riparian Forest Buffers, Riparian Herbaceous Cover, Vegetated Buffer, Vegetative Treatment Area, Sediment Basin, Shallow Water Development and Management, Tree and Shrub Site Establishment, Waste Treatment, and Water and Sediment Control Basin. Contact our our office at 317-773-2181 to learn more or get started! are eligible for MRBI cost share funding.